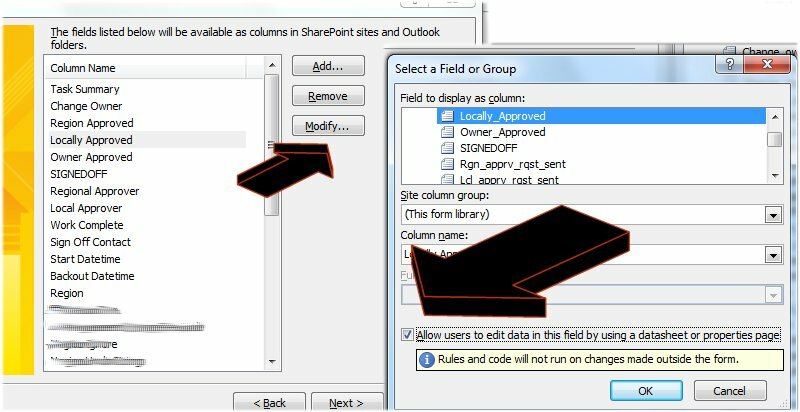 The problem: all of a sudden you cant edit all or some of your fields using sharepoint designer / columns have become greyed out in the settings. What happens though when the “Allow users” select box is greyed out and cannot be selected? At a guess, that is because some fields cannot be edited. for example people-picker fields since the datasheet view cannot display the appropriate form related view.